Behind the numbers, you find the people that matter. At Drink, we believe that a sustainability report should be a tool to help companies understand and communicate what is truly important: how their environmental, social, and economic performance impacts their key stakeholders. 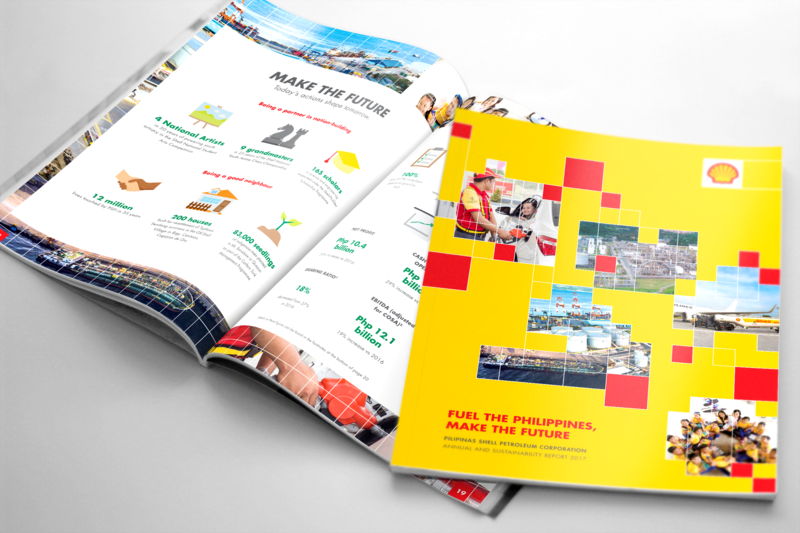 For our client Pilipinas Shell Petroleum Corporation (Pilipinas Shell), proper stakeholder identification and materiality assessment served as the first crucial steps toward determining what went into their second Annual and Sustainability Report titled Fuel the Philippines, Make the Future (ASR 2017). The success of a materiality exercise is seen in the relevance of the information reported. As such, Drink recommended an enhanced reporting process, with focus on the most effective ways to extract essential data and ideas, and the kind of storytelling that communicates the motivation behind the action, and the struggle behind the fulfillment of the goal. No one knows the story better than the reporter, which is the client-company. 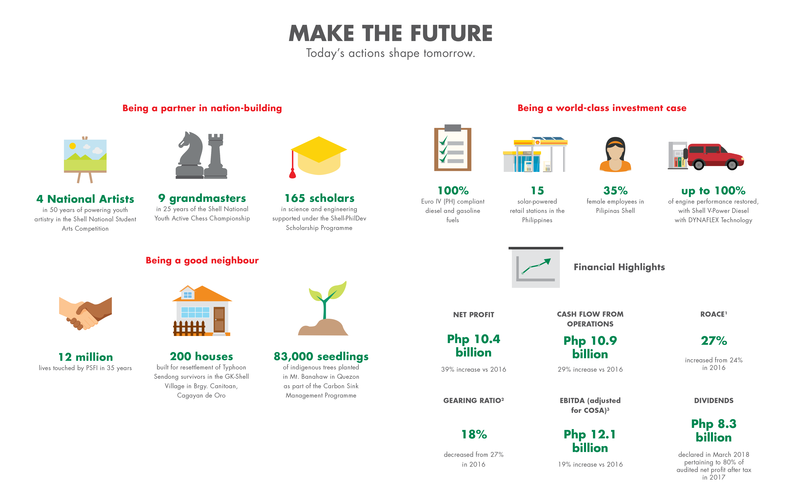 We empowered Pilipinas Shell to articulate their sustainability story through learning sessions, stakeholder validation and engagement, materiality assessment, and storytelling and content development. Engagement sessions, though led by Drink, also enabled us to learn from our client. We not only tapped existing communication channels and documentation, but also observed firsthand the town hall meetings referred to as Ugnayan sa Barangay conducted by Pilipinas Shell’s liaison officers with members of the host communities around the Batangas refinery. Throughout, Drink also conducted one-on-one interviews with principal investors, members of the Board of Directors as well as Pilipinas Shell management, and various employees on the ground. At every step of the reporting process, Drink served as a guide and a scribe. However, the principal author of the report remained Pilipinas Shell, who owned their sustainability story. Pilipinas Shell undertook a business-wide stakeholder expectations and interests review, and a comprehensive materiality assessment. This enabled the reporting to focus on topics and issues that mattered most to the company and its key stakeholders: economic, governance, environmental, and social. After the assessment, Drink supported Pilipinas Shell with the creation of templates to gather and manage Pilipinas Shell’s data. Beyond data gathering, Drink strategized how to strengthen the presentation of information through a creative treatment that marries data and storytelling. While a report outline template was provided to Drink, this was edited along the way to ensure the inclusion of the right stories, as well as to integrate the presentation of the selected sustainability disclosures. Beyond the “what” and “where,” the stories in the ASR 2017 revolved on the “how” and “why.” Most importantly, they focused on “who” was involved, particularly the heroes such as the aviation crew who consistently won awards for their dedication to safety, or the decommissioning team who made sure that Pilipinas Shell exited Pandacan with care and regard for the community. ASR 2017 continued the tradition of publishing a Sustainability Scorecard and Financial Highlights that serve as progress reports with a consistent set of metrics year upon year. The report followed the GRI Standards, the global best practice in sustainability reporting. However, it also complemented the framework with those feature stories that provided a human perspective to the tabulated data. Diverse stakeholders could mean taking a distinctive, more targeted approach that would best suit the audience. As part of the communications plan for the ASR 2017, Drink also recommended the creation of a microsite, a video production, and a mobile application focused on sustainability. We believe that there are different ways to tell the same story, within the parameters set by the client. Naturally, we worked with Shell’s stringent global standards for copy and design, which provided the necessary direction and boundary for our creative work. As such, Pilipinas Shell’s ASR 2017 proved to be a concise yet insightful volume, as the reporting focused on the most material topics to the company and its key stakeholders.